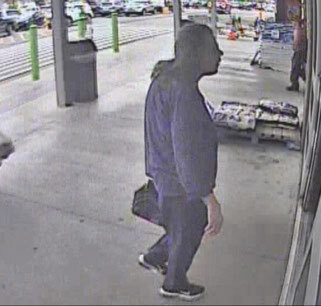 The Calcasieu Parish Sheriff’s Office is investigating a hit and run that took place on Monday, April 9 at approximately 4:15 p.m. at the Walmart Neighborhood Market located on 260 Sam Houston Jones Parkway in Moss Bluff. 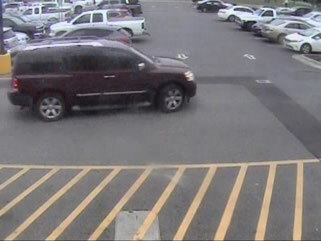 During the investigation, it was learned that the driver of a maroon Nissan Armada hit a truck in the parking lot and drove off. The driver of the Armada is described as an older female with long hair wearing glasses, and walks with a slight limp. The Nissan Armada should have minor to moderate damage on the left front bumper of the SUV. The Calcasieu Parish Sheriff’s Office is asking the public for assistance. If anyone recognizes the SUV or lady in these photos or has any information about this incident, please call the lead investigator, Sgt. Bryan Guth at 491-3846 and reference case number 18-43566.